Mary Kate & Ashley Olson, the adorable twins that we watched grow up on Full House, turned 27 on June 13th. Gone are the days when we used to watch them in the Halloween thriller Double, Double Toil and Trouble or laugh along as they switched places in It Takes Two. These days the New York- based moguls are growing their many clothing lines and taking over the fashion scene. I miss the days when we traveled the world with them in Passport to Paris or Holiday in the Sun. Want to feel even older? Full House will celebrate its 26th anniversary on September 22nd. That’s right – the good old American sitcom, based in San Francisco, is almost as old as the twins themselves! You can catch up with the nuclear family on their reruns. I sure miss Uncle Joey and Uncle Jesse! Don’t you? 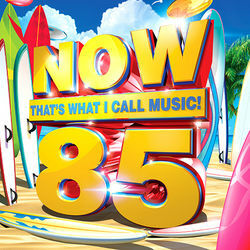 Now That’s What I Call Music will release its 85th CD on July 22, 2013. Apparently they don’t realize how many people know how to create a mix CD. Never mind how few people actually listen to CDs anymore (unless you’re on a 10 hour car ride and forget your iPod adaptor)! I can appreciate the history though. I remember spending hours dancing to Samantha Mumba’s “Gotta Tell You” on Now 6! I’m assuming it’s a collector’s item. Dog with a Blog is a Disney Channel Original Series. I’m pretty sure blogs weren’t that popular in 2003. What happened to the days where Even Stevens (last aired June 13, 2003) and Lizzie McGuire (last aired February 14, 2004) taught us basic life lessons like fighting with your siblings isn’t okay and having some embarrassing moments in front of your crush (Ethan Craft – hello!) is pretty standard. Pogs and Tamagotchis were at their peak popularity 18 years ago. Oh stop! You definitely remember them. The discs were made for a type of game but I just remember collecting them in my orange tube-like container. The more I had the more excited I was! And Tamagotchis were like your children. You’d collect multiple Tamagotchis at a time. The handheld “digi-pet” would come as a small egg shaped computer game. If you were really cool you would attach them to your backpack and “feed” them during snack or recess! Snake, the cell phone game found on classic Nokia mobile phones, was programmed in 1997. If your older sibling, parent or babysitter had a Nokia phone, you knew how to play Snake. I would always use my Mom’s Nokia and play for hours on end. I would tirelessly control the long thin black line, known as the “snake,” as it roamed around the tiny box searching for food. But watch out – the more food the snake ate, the longer it became. If it were to catch its tail the game would end! The original game was programmed in 1997 (the best version) but apparently there are newer versions out today. As much as I loved every single throwback on this list I am happy to say they are simply that, childhood memories. Although they make us feel old they remind us how many better things have been invented since!